Hello! 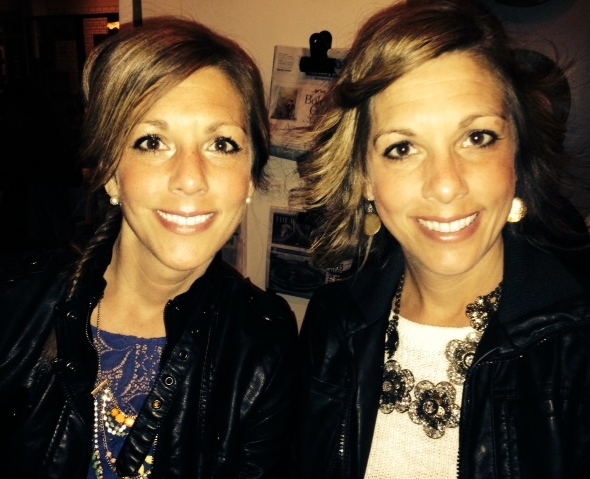 We are Trina and Tina, identical twins who are passionate about being active and healthy. That is until Saturday, our sweet treat cheat day. Our motto is, “The gooeier the better!” We started this blog to share the delicious goodies we make, along with other inspirations that motivate us to be creative. Thanks for stopping by for a peek at how we strive to make our lives as sweet as they can be. Hi I just saw I made your list of Sweet Reads and I just wanted to say thanks 🙂 Keep the baking inspiration coming! I love your blog! What a “sweet” concept! I am also a twin but with a brother and we both like being healthy and active… but I would never be able to rope him into teaming up to blog with me! lol ^_^ Keep doing what you’re doing! Great Blog! oh and btw, love your blog too! We live in Kansas. Glad you stopped by to check us out. We hope you’ll stop by again on Saturday! You two are adorable. My dad was an identical twin too. Such a special journey. Thank you for stopping by 😊 Your blog is awesome!